Nothing has caused grown men to yell-sing in a Soprano voice more than Frozen. The Internet is now full of folks of all ages, belting out the lyrics to “Let It Go”, “Do You Wanna Build a Snowman”, and “Hans is a Big Fat Weenie”. (I wrote that last song; message me for music and lyrics.) Heck, even the Marines got in on the Frozen Frenzy. How adorable were they, getting all psyched when Elsa built her castle? Talent shows, pageants, and sleepovers were filled with children doing their best to match the voices of Kristen Bell and Adele Dazeem. (We can laugh about it now, right, Idina?) Frozen was and is EVERYTHING. It was like this generation’s E.T. So while some of us may be suffering from Frozen Exhaustion, most of us are still flying our Arendelle Flag high and proud. If you fit into the latter category, we’ve got some stuff we think you might be into. Because Grown-Ups with Grown Up Charm Bracelets can like Frozen, TOO! 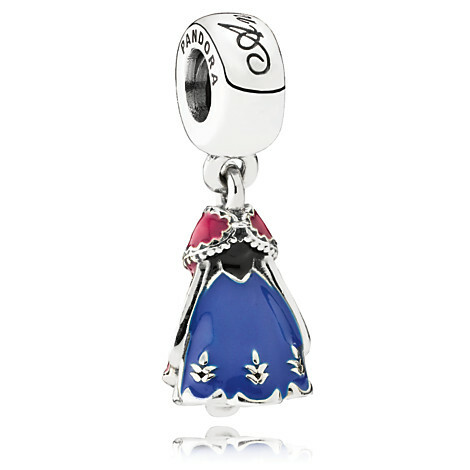 This Anna’s Dress Charm by Pandora is the perfect accompaniment to your Disney-fied bracelet to accent your Disney-fied life! 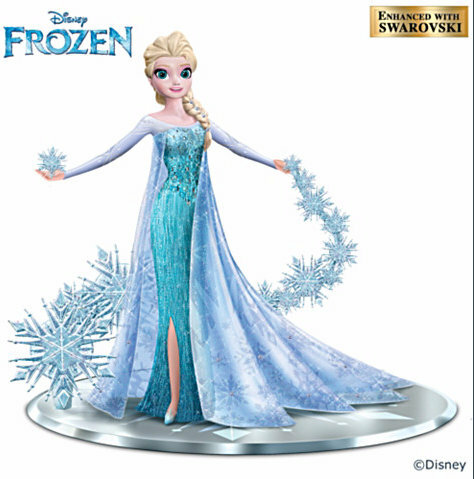 Sometimes, nothing less than a sparkly, Swarovski Crystal covered Elsa the Snow Queen Figurine will do. This thing fits the bill for any Frozen fan and will definitely elicit a squeal upon opening. This is the case for those in the know. Only die hard Frozen fans will recognize this as the pattern from Anna’s dress and that’s the whole point. If you have to ask about this Anna Frozen Cell Phone Case, well…we totally have a movie recommendation for you, friend! 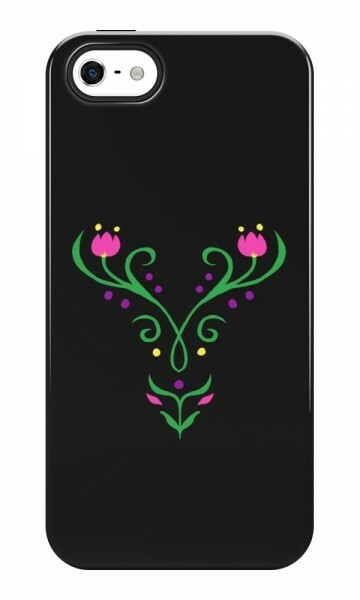 This cute case is available for iPhone and Galaxy models. Sometimes, you just gotta put down the phone and read a book. But this isn’t just any ordinary book. 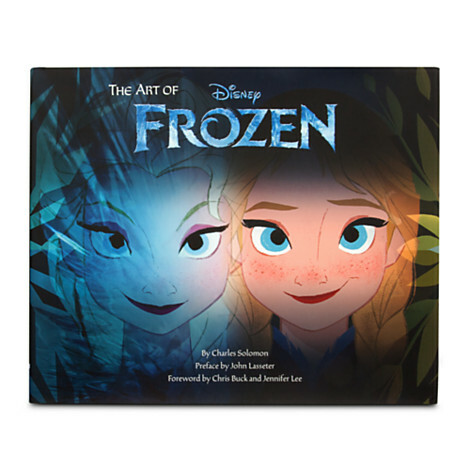 This is the definitive Art of Frozen book, chock full of color photos with commentary by John Lasseter. It’s like, THE book. I know…now it’s stuck in my head, too. But that was part of the magic of Frozen…that iconic song that became the earworm for folks all over the globe, who were willing to belt it out in public whether they could carry a tune or NOT! 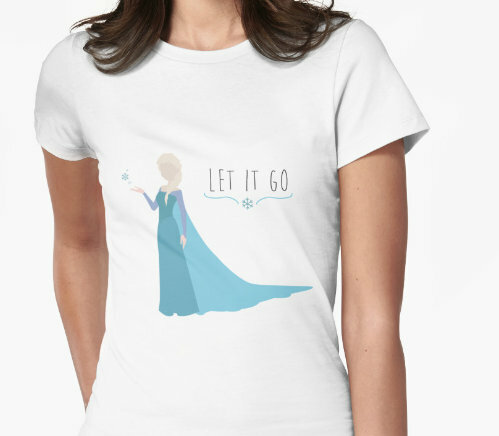 Celebrate the Frozen Frenzy with this Elsa Let It Go T-Shirt! We like it Frozen and we want it Shiny! 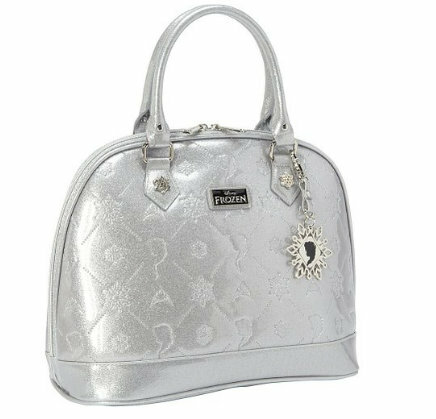 This Frozen Embossed Handbag by Loungefly is the perfect shimmery addition to your wardrobe, with metal feet on the bottom so it doesn’t get scuffed and funk-i-fied and a cute little charm with the Snow Queen’s mug right on it. Because the cold DOES kind of bother me anyway…I need my toes covered. 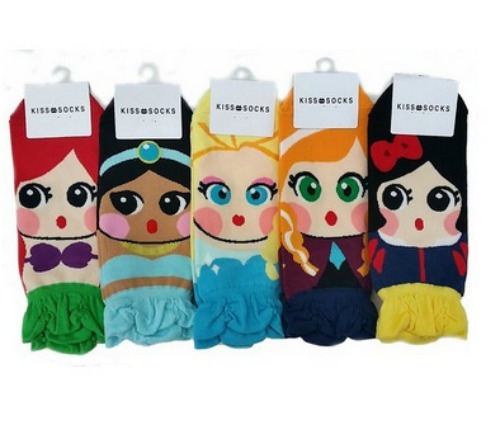 And what better, cuter way to cover your tootsies than with these adorable Disney Princess Socks? Choose one princess or every last stinkin’ cute one of ’em. It’s mahogany. It has Anna and Elsa’s faces on it. It sings “Let it Go”. Oh, and it hides your jewelry, too. 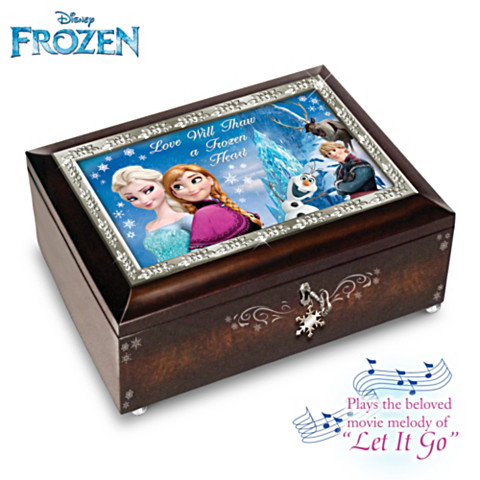 This Frozen Jewelry Box will make the perfect gift for little girls just starting out their jewelry collecting, to grown women who have got this thing down to a science. For ten years, we’ve been trying to track down the whereabouts of the adorable, crime-fighting Powerpuff Girls. Turns out they were handing out in Arendelle the whole time. 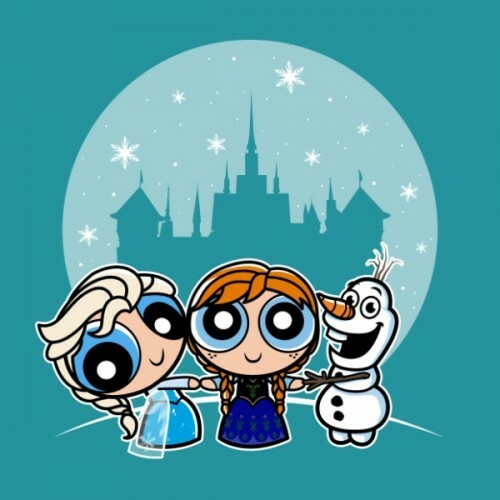 They’ve been disguising their big-eyed adorableness right on this Frozen Powerpuff Girls Mashup Tee. Well played, Puffs. Well played. We’ve got even MORE good stuff over on Mickey Fix. Looking for more Disney Tees? Check out our Top 10 Disney T-Shirt Gift Guide! 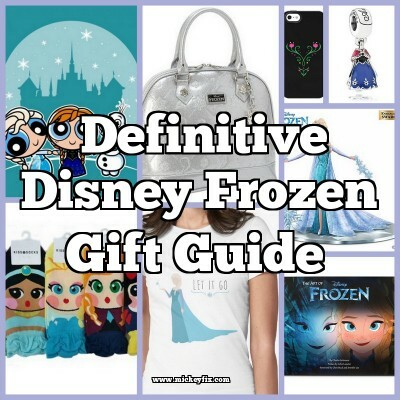 And check out all of our Disney Gift Guides in one super-convenient location: our Disney Gift Guides Page!